★★★★★ This really is a nice power pack combo. I really like Energize. It gives me just enough get up and go with the jitters. It's a smooth citrus blend no sweetener needed for me. Perfect for the office, 2 cups one with breakfast and 1 right after lunch gives me the push I need to finish the day . After a long day cozy up with sleep blend. Sleep really does what it says sleep! I tend to be restless at night tossing and turning. A warm bath or shower, pjs and this tea = lights out. I had such a peaceful deep sleep. I didn't wake up until morning when the clock went off. It's a wonderful herbal blend, nice taste to me. You can't go wrong. ★★★★★ "This tea really impressed me with the quality and delicious taste!! I love both of these teas and they definitely deliver! I also purchased the "Hey Girl Cleanse" and this is what I thought... I eat mostly healthy, but still wake up feeling bleh, you know bloated and just not "good". This tea really helped!! I didn't have any amazing BMs or anything, but I did wake up each morning feeling so much better! Bloat was gone! I love this tea and have happily made it part of my nighttime ritual." ★★★★★ These teas are delicious! I have the infuser bottle too, so taking the energy tea with me to work is easy! ★★★★★ Both teas taste amazing! Love them both. They do what they say too. 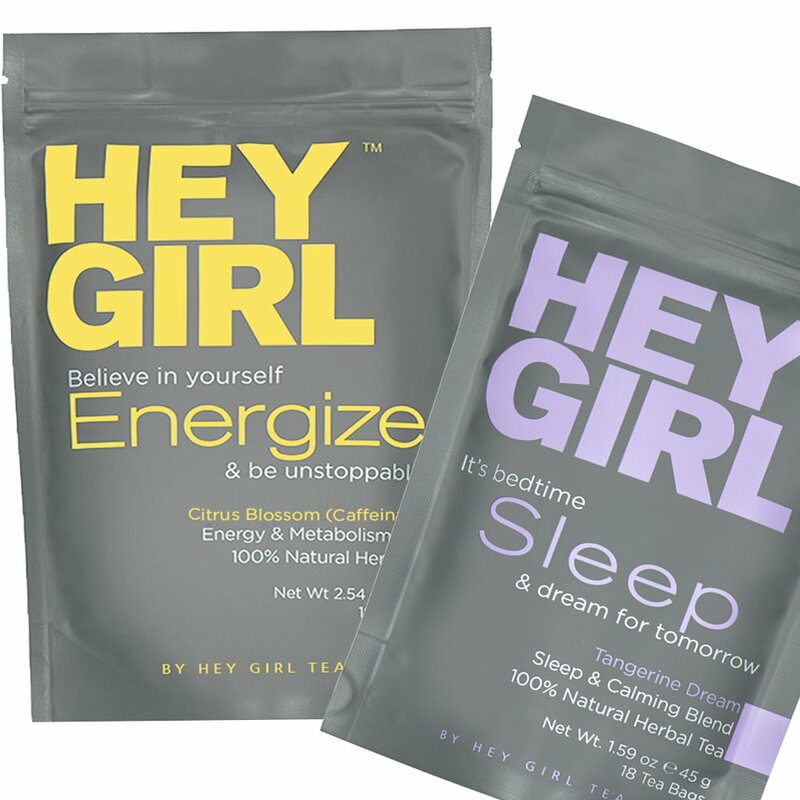 The energize tea helped up my energy and the sleep tea helped me to go to sleep. ★★★★★ I have always had trouble sleeping, I have been taking sleeping meds for years, I came across this tea and decided to give it a try. I have now been taking it for a little over 1 week and it has worked and helps me sleep through the night.